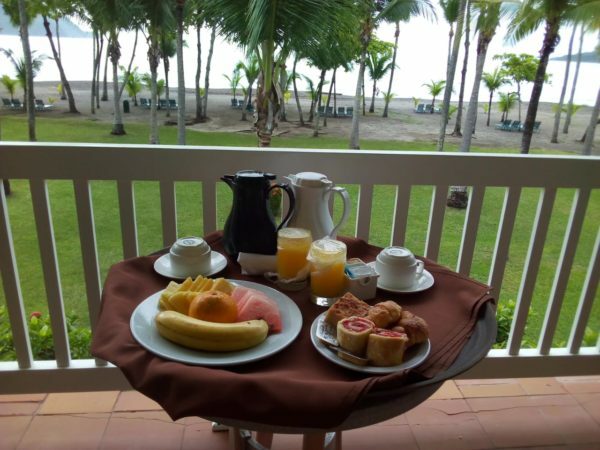 The best place to Honeymoon in Costa Rica is Barcelo Tambor. 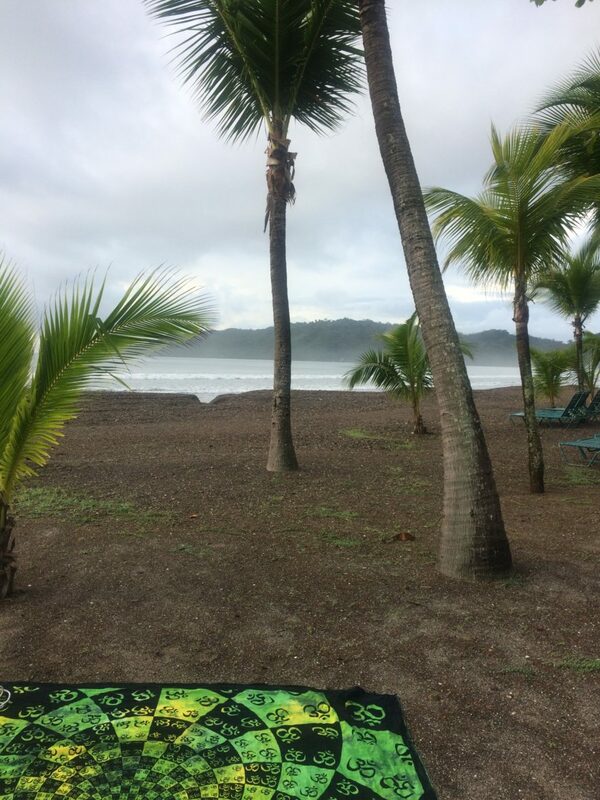 This all-inclusive resort with immaculate gardens is directly next to Sansa airport strip in Tambor, Costa Rica. It is a 25 minute plane ride from next door to Juan-Santamaria airport in San Jose. Easiest way to get there is to book a flight with Sansa airlines after you land at SJO. 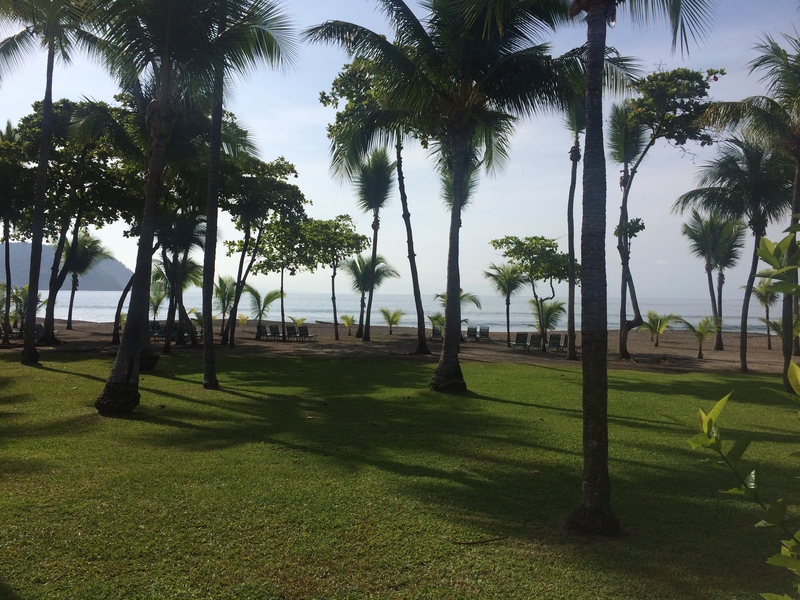 Barcelo Tambor beach is privately located along scenic Tambor Bay. The wildlife is stunning; scarlet macaws, iguanas and other wildlife frequent the property. We even surfed the waves! The honeymoon package is luxurious and full of pampering. The Honeymoon Package Included Perks like, breakfast in-suite on our checkout day, chocolate covered strawberries and small extras we noticed along the way! Barcelo Tambor is the most relaxing place. The ocean-view room meant we fell asleep listening to the gentle crashing of the waves. 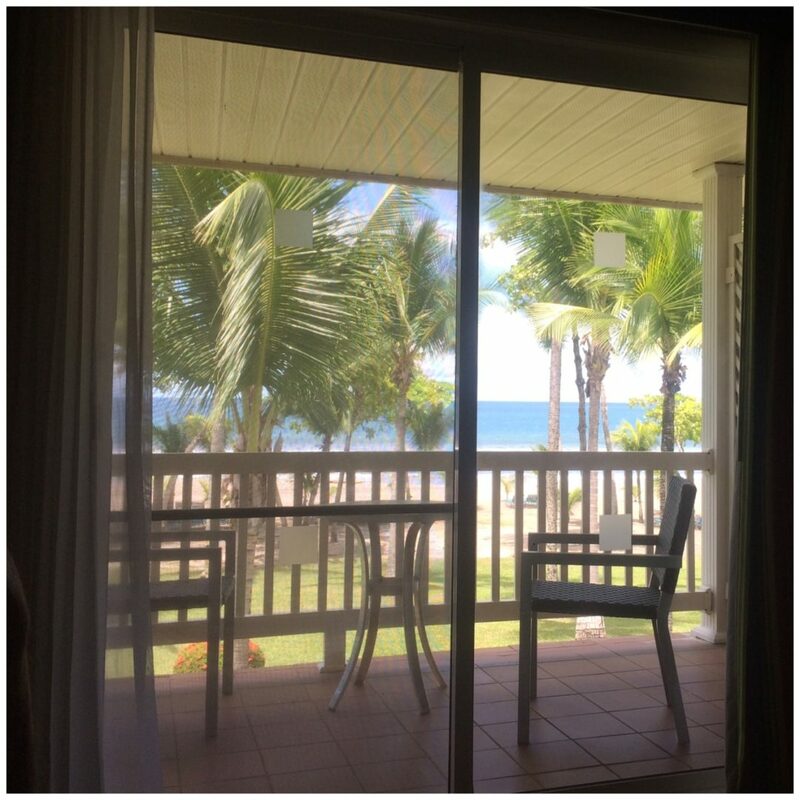 Plus… the oceanview is spectacular! We also got to choose from a horseback riding adventure or a special gift. 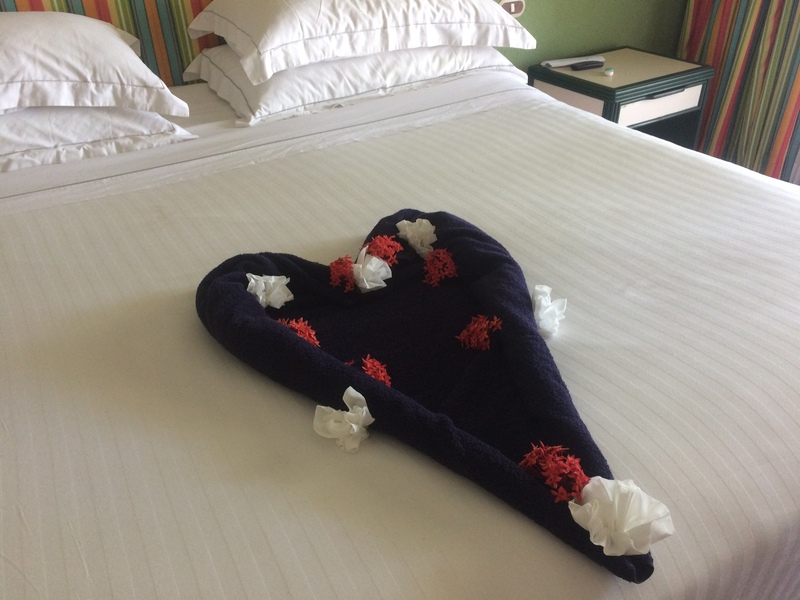 We chose the gift; you’ll have to go to Barcelo Tambor for your Honeymoon to find out what it is, I won’t spoil the surprise, but I will say that our parting gift is gorgeous and it will last a lifetime. Tennis in Costa Rica? 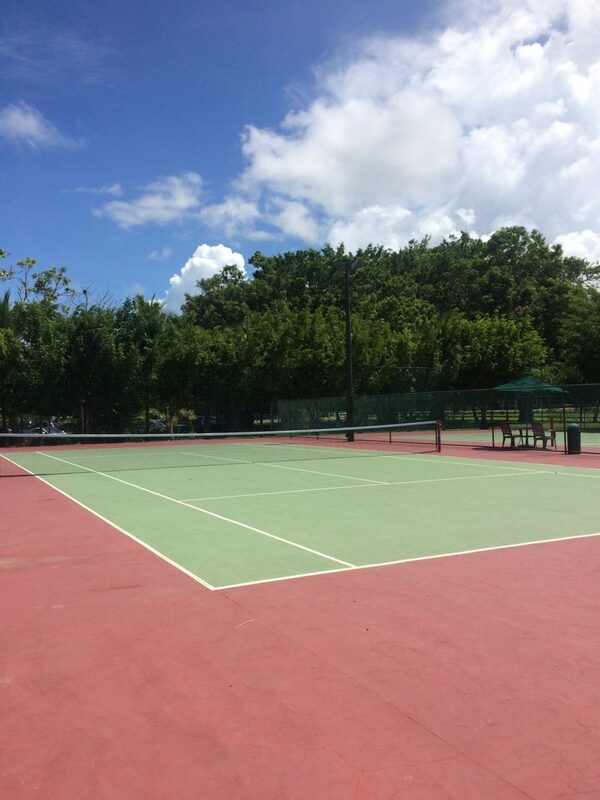 I always dreamed of playing tennis in Costa Rica and Barcelo made my dreams a reality! Barcelo has some of the nicest tennis courts I have ever played on. We also enjoyed Mini-Putt and other activities. The food is fantastic at Barcelo Tambor. Buffet was our favorite! 3 meals a day, plus the snack house by the pool. Barcelo Tambor is great for newlyweds, but it is also a perfect resort for the entire family. There is a spa where you can unwind! You’ll see a lot of them flying in pairs – and hear them too! 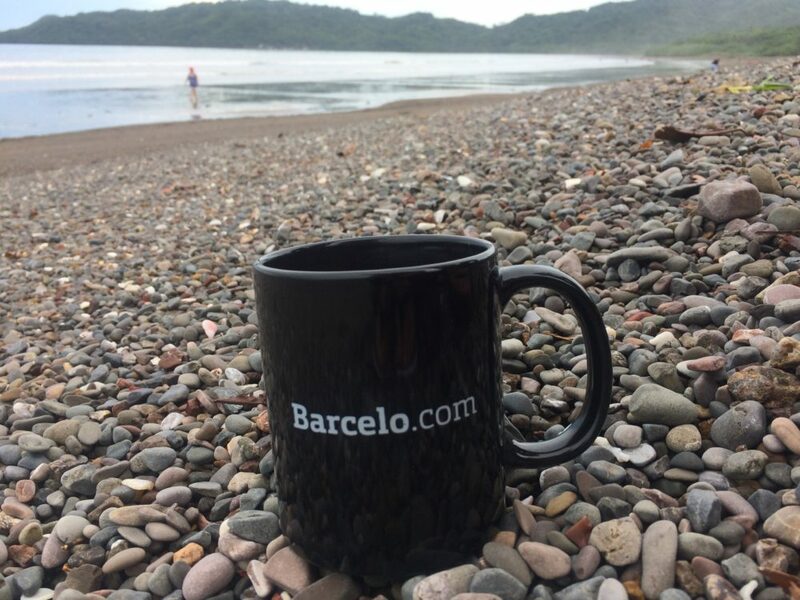 Next on the travel itinerary is to visit more Barcelo locations around the world! 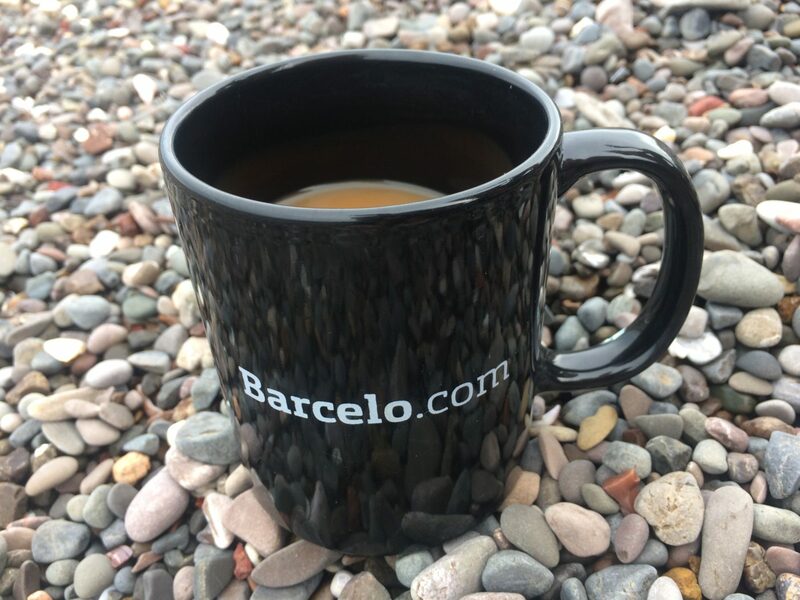 Did you Honeymoon at Barcelo?